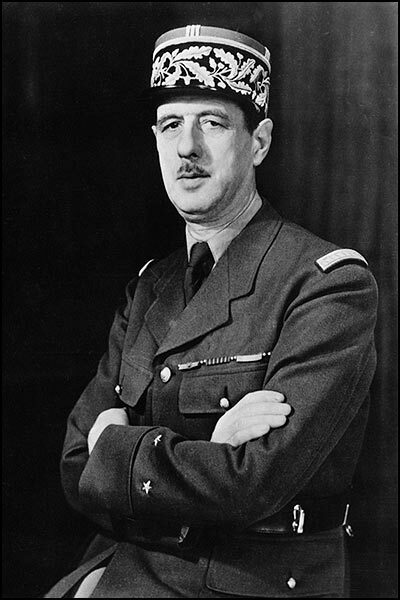 Or was Charles de Gaulle right? Europe, Europe, Europe. The Old World has finally caught the spotlight. It wanted to be a paragon of peace and stability reigning in the thousand-year era of Europe’s unrivalled leadership across the globe. It became the stalwart promoter of democracy and human rights. It inaugurated a new sort of politics, so different from the harsh times of Realpolitik. It promised its citizens the best of what they could actually dream of. The European civilization and all the fruit it bore from its tremendous outburst were supposed to serve as a guarantee for a smooth transition from insouciant youth to happy retirement. What we see now, and what the Europeans are so surprised to discover, as if nothing of this sort happened in their daily lives as they continued to daydream, is that the European dream is over. It has been mercilessly shattered by the simple but rigorous facts. The whole world is now talking about Europe. Media brethren are carefully following every smallish remark made by Chancellor Merkel, as words have become of late clearly more powerful and meaningful than deeds. A trait of skepticism, a hint of failure, a tinge of irony, a shade of doubt, a nuance of dissent, a hue of mistrust, you name it. The most authentic article written off the Chancellor’s words was literally about to bring down the markets and make the euro break another depth record. It is the depth of the plunge which is meant here, thus no reason to be proud of it. The European ideal has become so fragile that even a hardly audible whisper may knock it off completely to the stage of its embryonic drafting. All those who think they have the courage to write about Europe, including the author of this very article, know pretty well that the European decline is already history. It has already been. In literature, cinema, philosophical lucubration. The Decline of the West by Oswald Spengler who can barely be understood by an average person wishing to learn more about the roots of the present European eclipse is gaining in popularity with the general public. Not that the public is so curious about history in the making that it aspires to grasp the moment and make of it a screenshot, until the classic book reveals its inside story in full detail. The European crisis has become so critical and so outlandishly humiliating that no other book written in a modern simplistic tradition of a few hours’ reading may be used to understand the scope of the problem. Saving the euro, believes Angela Merkel, who has recently spoken to the French daily Le Monde, is equivalent to saving the European project. Sounds strange, if you try to recollect her speeches before the Bundestag made in the wake of the Greek debt crisis, where she wondered, rather rhetorically, why the German taxpayers had to bail out their Greek counterparts. It was a tactical move, of course, as the election campaign in Germany had already kicked off. Despite or maybe due to the clumsy ambiguity created by a sharp contradiction between the internal and external tactics of Angela Merkel, her party lost control of Germany’s upper house of Parliament, punished by the voters for their country’s upcoming engagement in the Greek debt quagmire. But could Germany have acted differently, given its role in the united Europe from the very day of 18 April 1951 when the Treaty of Paris establishing the European Coal and Steel Community was signed? The obvious answer is no. Any opposite decision would have provoked the dismantlement of the European Union as such. This is the major lesson that Germany has learned about how precarious it is to be strong, as being strong also means being fatally weak. The European media hastily used this occasion to hype themselves in the face of the apparent discord up there in the invisible corridors of power. The Spanish El Pais asserted that Merkel’s leniency had been secured only after Nicolas Sarkozy’s explicit threat to take France out of the Euro zone, if Germany continued to persist in its non-acceptance. This simple fact makes one think that the European crisis, in whatever form it happens to manifest itself, is seen by some as the best way to attract attention and boost sales – the sales of newspapers, to be exact. Intellectual inflation, that’s the only raison d’être of today’s media fuss. The European decline is far more serious that one may imagine. There is no need to repeat the gloomy predictions of the past century’s philosophers and the dire warnings of this century’s pundits: demographic decline, lack of flexibility, extreme nonchalance, and bad habits of an overly convenient lifestyle. The European Union is now the first donor of international aid and the largest contributor to the development of the poorest regions. But can the European Union help itself? Can it get rid of its own indebtedness without seeing its population up in the arms against the last-ditch effort to push through a vital reform of public spending? Although money means something, it is not everything. The problems of Europe originate from its own perception of itself. The European integration started as a brilliant idea propelled by a number of intellectuals. It was designed to cope with post-war shortages, malnutrition, deficit and misery. It was aimed at getting closer to the reconciliation of two great nations – France and Germany who had been at war just a few years before. The idea worked out. Benefiting from the American nuclear umbrella that the United States had generously extended across NATO members, Europe received an unprecedented opportunity to see itself catapulted into an ersatz of past glory. As the European integration ratcheted up its steady course, the whole world came to terms with the revival of Europe’s triumphant knowledge of its own past, present and, more importantly, future. No need to recall the whole process of cultural, economic and finally political rapprochement which paved the way for Europe to become a union of nations smoothly aligned and peacefully accepting. With the Ode to Joy as the official anthem, the European Union is taking delight in knowing that, unlike many others, it still has time to rejoice. It seems almost impossible to criticize Europe for its unqualified liberalism and love of freedom. All the institutions it set up down the road are filled with mutual respect and delicately stenciled tolerance. The European Parliament was staffed with popularly elected members in 1979, due to the efforts of Léo Tindemans and his team, and became as democratic as every national parliament should be. The European Commission is composed of 27 Commissioners, one for each member state. Though the first version of the Lisbon Treaty signed in 2007 opted for the reduction of the Commission’s composition with the accession of new sovereign states, the second Irish referendum of 2009 made it impossible to introduce the principle of rotation. Thus, the European executive will remain as egalitarian in its formation as it is now. The European Council uniting heads of state and government is henceforth a permanent body and has as president a conciliatory personage who tends to be respectful of all viewpoints. The European Court of Justice and Court of Auditors have gradually obtained powerful leverage and are free to punish or reward (which is equivalent to the absence of punishment) in line with their guiding principles, which are collectively European. Finally, the European Central Bank is entrusted with the supervision of overall financial and monetary stability and can use considerable resources to predict and prevent crisis situations. What is not in the picture yet? The Council of ministers – it is absolutely fine too. It is also worth mentioning that with the entry into force of the new Lisbon Treaty on 1 December 2009 the European Union became, at least according to the thinking of its current leaders, more visible and coherent on the world stage.